If you look at the 10 Academy Awards ceremonies from 2004 to 2013, you’ll see that Best Picture and Best Director went hand-in-hand 80 percent of the time. Back in 2005, Crash won BP, but Ang Lee took home BD for Brokeback Mountain. If that’s not kooky Oscar trivia, I don’t know what is! Based on a novel by Yann Martel, Pi marked Lee’s second English-language film since 2004. In search of a great story, a writer (Rafe Spall) comes upon Pi Patel (Irrfan Khan), a man raised in India. As a child (Ayush Tandon), Pi grows up at his father’s (Adil Hussain) zoo and struggles between his dad’s belief in science and his own desire to explore faith. While in college, Pi (Suraj Sharma) finds his life turned upside-down when his father chooses to sell the zoo and move the family to Canada. The elder Patel takes the animals to North America because they’ll fetch a higher price there. The family takes a freighter from India to Canada but the trek doesn’t go well, as a massive storm sinks the ship. Pi ends up on a lifeboat alongside one “Richard Parker”, the zoo’s resident tiger. We follow their journey and related issues. Although most trailers make movies look better than they are, some hurt the films they advertise. Into the latter category falls Pi. While I admit it’d be hard to come up with an ad that accurately promotes such an unusual story, I think the Pi trailer failed to show its appeal. It left the impression of a plot-free flick that stayed with some dude on a boat with a tiger. Since two hours of that didn’t sound interesting, I skipped the film theatrically. 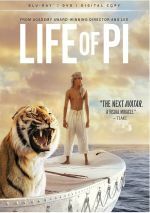 Now that I’ve seen Pi, obviously I realize there’s a lot more to it than “dude on a boat with a tiger”, though that side of things offers a lot of interesting material. Pi delivers a definite Cast Away vibe, and it does manage to make the Pi/tiger relationship plausible. That’s a pretty big leap, but Pi pulls it off well. The parts on the boat manage to create intrigue, even if I don’t quite buy the computer-animated tiger. There’s still a “digital” feel that remains a bit off-putting. While I like these scenes anyway, I actually prefer the parts of the film that focus on the pubescent Pi. He feels like a more interesting personality as a kid and before he winds up on the boat. We get a better feel for the character’s growth during his youth, as the older Pi treads water to a certain degree. Lee infuses Pi with a spiritual undertone that works reasonably well, and it pays off in the end. That said, I think the movie fares best as a simple adventure. 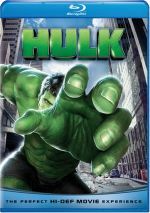 While the themes add a little depth, the basic action elements give us the most compelling moments and carry the movie. Does Pi become a classic? Probably not, but it still turns into an effective movie. It takes an unusual tale and spins it in interesting directions. Life of Pi appears in an aspect ratio of approximately 1.85:1 on this Blu-Ray Disc. While not a killer presentation, the image was usually strong. Overall definition seemed very good. A few wide shots could be a smidgen soft, but those were minor, infrequent occurrences, as the majority of the flick demonstrated excellent delineation. I noticed no issues with shimmering or jaggies, and edge haloes remained absent. Print flaws also failed to appear. Colors acted as a strong aspect of the image. Pi went with a broad, often dazzling palette that the Blu-ray brought to life in stellar fashion. Without question, the colors became the best part of the transfer. Blacks were dark and deep, but shadows could be a bit thick; some of the nighttime shots – especially on the lifeboat – tended to seem a little tougher to discern than I’d expect. Despite some small distractions, though, the majority of the film came across as well-rendered. I also felt pleased with the film’s DTS-HD MA 7.1 soundtrack. Until the storm that capsizes the freighter, the soundscape remained fairly low-key and emphasized ambience. Once the movie got to the open sea, though, this changed. The storm sequence provided substantial punch, and the remaining shots on the water demonstrated a lot of life as well; the “attack” of the flying fish really used the speakers well, and other segments were nearly as good. Audio quality always satisfied. Speech appeared distinctive and natural, with no edginess or other issues. Music seemed lively and full, while effects showed pleasing accuracy and range. Low-end was tight and deep. This was a solid soundtrack. As we shift to extras, we find a few programs, and A Filmmaker’s Epic Journey goes for one hour, three minutes and 29 seconds. It includes comments from director Ang Lee, author Yann Martel, screenwriter David Magee, survival/marine consultant Steve Callahan, film editor Tim Squyres, Fox 2000 president Elizabeth Gabler, casting director Avy Kaufman, yoga instructor Elie Alouf, stunt coordinator Charlie Croughwell, producer David Womack, marine coordinator Rick Hicks, production designer David Gropman, director of photography Claudio Miranda, tiger trainer/consultant Thierry Le Portier, visual effects supervisor Bill Westenhofer, script supervisor Mary Cybulski, composer Mychael Danna, and actor Suraj Sharma. “Journey” looks at the novel and its adaptation, research and other script subjects, art/previsualization and planning, cast and performances, sets and locations, working with animals, visual effects and shooting 3D, music, and the film’s release. With more than an hour at its disposal, “Journey” manages good coverage of the movie. We get a nice overview of the significant subjects in this brisk, likable piece. In the 19-minute, 35-second A Remarkable Vision, we hear from Westenhofer, Squyres, Lee, Sharma, MPC visual effects supervisor Guillaume Rocheron, digital supervisor Jason Bayever, and senior animation supervisor Erik-jan de Boer. “Vision” looks at the elements that went into the creation of the movie’s visuals, with an emphasis on various effects. The documentary looks at some of these topics, but “Vision” goes into them with more detail. Tiger, Tiger Burning Bright lasts eight minutes, 35 seconds and provides info from Lee, Le Portier, Squyres, de Boer, Bayever, and Westenhofer. “Bright” acts as an extension of “Vision”, though with an emphasis on the depiction of tigers; we learn about the use of a real animal as well as the CG version. It becomes another informative piece. A few minor additions finish the set. A Still Gallery let us view 84 examples of concept art, while Storyboards features 138 frames for seven scenes. Both provide nice collections. A second disc offers a DVD copy of Pi. Other than some “sneak peeks”, it lacks any extras. 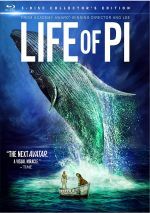 An adventure tale with spiritual elements, Life Of Pi mostly satisfies. A few aspects of rhe film sag, but most of it delivers a vivid story. The Blu-ray brings us solid picture and audio as well as a good roster of bonus materials. Pi becomes an engaging drama.